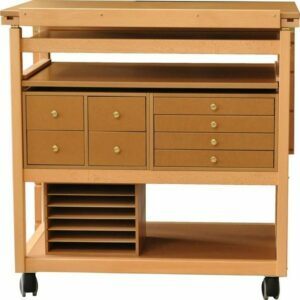 Gathering all your materials (paint brushes, artist paint, pastels, small and large papers, etc.) 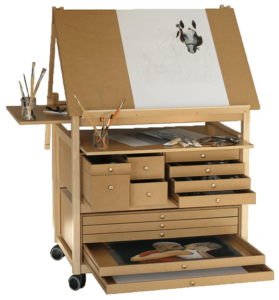 in one compact and functional creative workstation, this is what we offer with our Studio Units. You can enjoy your free time to devote yourself to your passion. Having a tidy workshop, working in better conditions, the dream of all artists ! 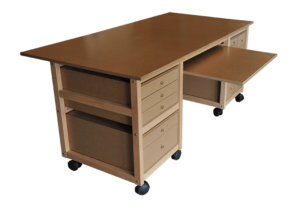 Our Studio Units can be ccombined to form workspaces? 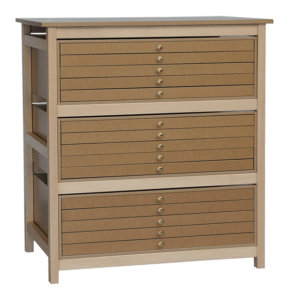 They offer many drawers of different sizes, allowing to accomodate any type of equipment at your fingertips : watercolour, oil or acrylic paints, pastels, charcoal, brushes, palette knives, sketchbooks, pencils, etc. 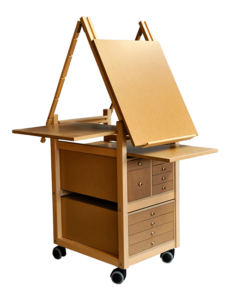 For artists, the importance of light in the creation will determine the location of the easel, the worktable. 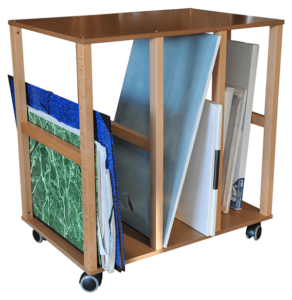 The castors with which our Studio Units is equipped allow a great maneuverability and to find the ideal location at the chosen moment.